From colour-stripping ingredients in your products to poor habits with heat tools, there are some things which you could be doing which is unknowingly stripping the colour from your hair. At Blown Lux, we’re helping you make every day a good hair day regardless of how long it was since your last colour. Read on to discover some simple ways you can extend the life of your hair colour. You’ve probably seen shampoo bottles popping up with the “sulphate-free” label and with good reason. By removing sulphates from your hair care routine, you can help your hair retain its natural moisture and hold onto that colour for longer. 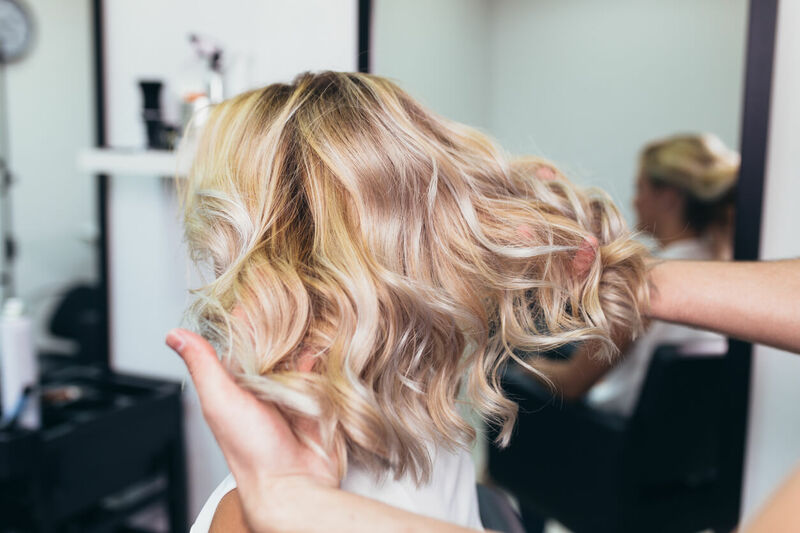 While you may want to reach for those heat styling tools for a flawless hairstyle, those same heat tools could be the reason that your hair colour is looking a bit dull. So, try and keep your use of heat styling tool to a minimum or use the lowest heat setting to extend the life of your colour. Just as the sun can lighten fabric pigments, it can also fade your hair colour. It’s especially important in the harsh Australian sun to stay out of direct sunlight however if it’s unavoidable at least try to stay in shaded areas or wear a wide-brimmed hat to protect your locks. The chemicals in hair dye can strip your hair of its natural moisture and damage hair cuticles which leaves your hair more vulnerable to heat and allowing any hair product you add to penetrates deep down and cause more damage and colour dullness. To hydrate your hair, you’re going to need more than a standard daily conditioner. Instead, incorporate a deep conditioning treatment into your weekly haircare routing to help offset damage and lock in colour. At Blown Lux we know hair and know just how to make it look its best. Let our talented hairstylists work their magic all the while sipping on creative cocktails and sampling some top-quality cheeses. Whether you’re looking for a treat for yourself or an event like a birthday or hens night, we cater to all. Blown Lux is a blow dry bar experience like no other. Contact us for more information or to book your Blown Lux experience today. Every woman has considered getting bangs at one point or another. Find out whether this style would suit you and if you should make the cut.